With the new Wi-Fi Home Cam Outdoor, users can keep an eye on their home, garage, car or backyard, no matter where you are. 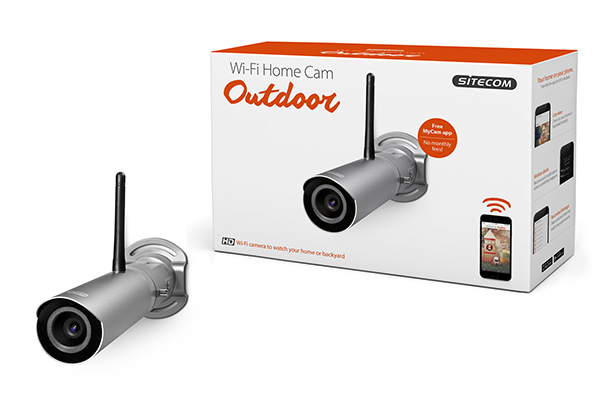 Rotterdam (The Netherlands), July 2016 – Sitecom, one of the leading European brands for home networking products and connectivity solutions, adds the weatherproof Wi-Fi Home Cam Outdoor to its portfolio of easy-to-use wireless IP cameras. The Wi-Fi Home Cam Outdoor lets users secure their home, garage and backyard and keep an eye on everything when they’re away. The Wi-Fi Home Cam Outdoor is a Power over Ethernet camera that shares the same MyCam app as Sitecom’s Wi-Fi Home Cam Mini, Wi-Fi Home Cam Twist and Wi-Fi Home Cam Dome. All four models offer a super simple setup, stunning HD video quality, night vision and real-time alerts. The free MyCam companion app is available for iOS and Android phones and provides all features free of charge without hidden costs or a subscription model. No more dull, distorted camera views! The Wi-Fi Home Cam Outdoor lets users see their home, backyard, garage or car the way they look like in real life. The camera features an HD resolution and lets users enjoy sharp details and vivid colors. The Wi-Fi Home Cam Outdoor comes with a weatherproof housing with an IP rating of IP66. This means that the camera is fully protected from rain, snow and anything else that might come at it and can stay outdoors permanently. The Wi-Fi Home Cam Outdoor lets users secure their home when they’re not around with the real-time motion alerts. Whenever somebody enters the cam’s view, it triggers an alert and sends a push notification through the MyCam app. Alerts can be tailored easily to avoid false alarms. Footage will be stored automatically on the included 8 GB microSD card and can also be backed up in the cloud via Google Drive. With the Wi-Fi Home Cam Outdoor, users know exactly who is approaching their house or garage, even from a far distance. The cam’s night vision feature lets them see up to 10 meters in the dark and keep track of what’s going on around their house, even from a far distance. In the morning, the IR-cut feature turns night vision off automatically so that everything can be seen in vivid colors again. The Wi-Fi Home Cam Outdoor offers a super simple setup within 3 minutes, carefree and without any hassle. Users can simply connect the cam to their Wi-Fi network, download the app and then scan the cam’s QR-code to have everything set-up automatically. 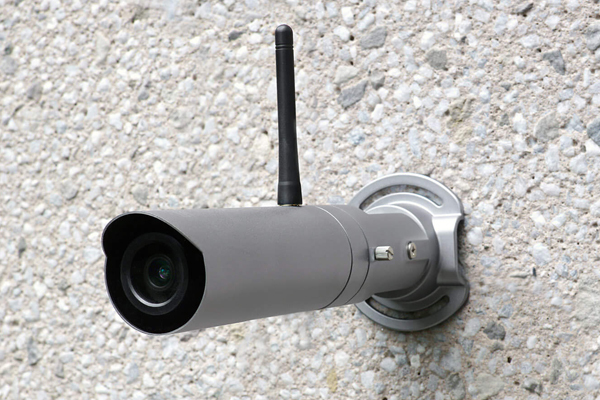 The Wi-Fi Home Cam Outdoor gets powered via a Power over Ethernet-port (PoE). This means, that instead of a regular power cord which is limited in its length, the camera can be powered with a super long Ethernet cable, allowing users to place it anywhere they want. The cam includes a whole PoE “starter kit” complete with 5-meter cable, a PoE injector and the power adapter to connect it to a regular wall socket.